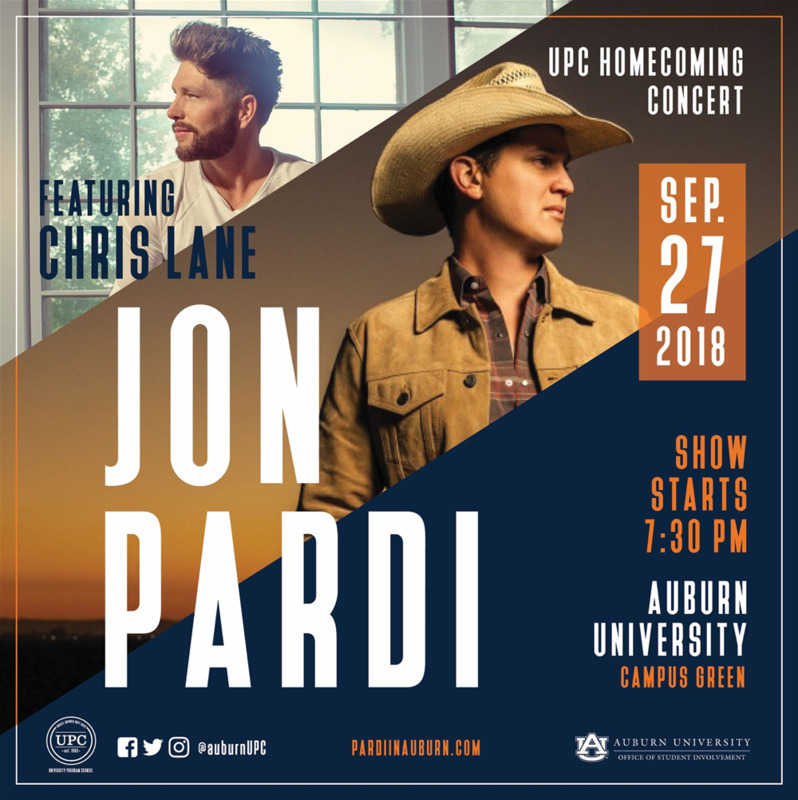 The University Program Council is thrilled to announce that Jon Pardi and Chris Lane will be performing at the UPC Homecoming Concert on September 27. The concert will take place on the Campus Green and the show will begin at 7:30 p.m. Admission for Auburn students is free, and UPC has partnered with the Beat Bama Food Drive to encourage students to bring canned food goods to donate. 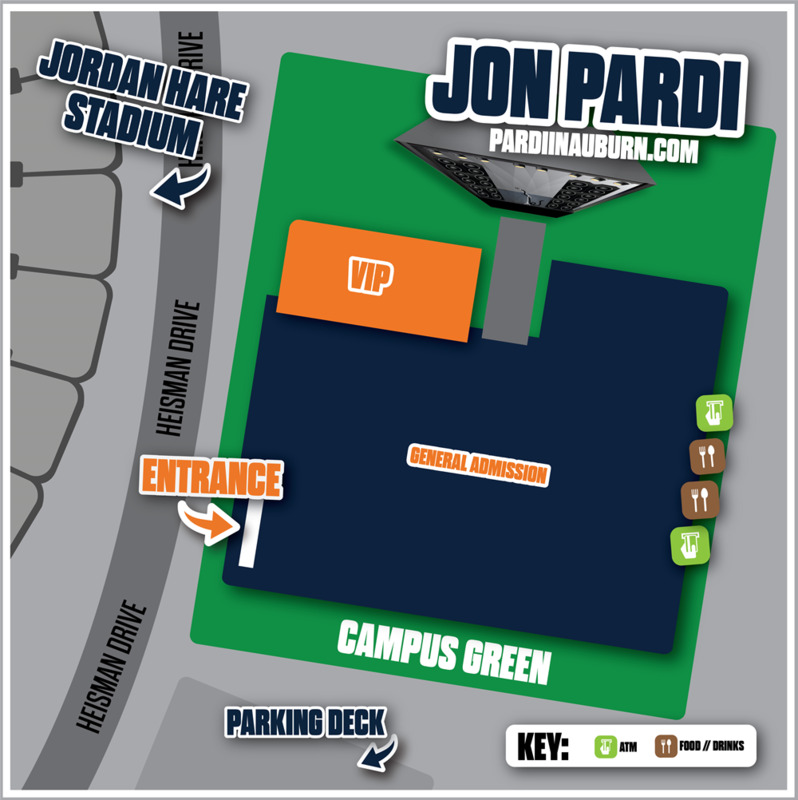 Those not enrolled with the University will be able to buy tickets on pardiinauburn.com, which will be available on August 22. Any questions, concerns, or comments can be directed to Kyleigh McGrail, VP of Marketing (kyleigh@auburn.edu), or Caroline Scott, Director of Major Entertainment (ccs0055@auburn.edu). About UPC: The University Program Council, better known as UPC, is Auburn University's student-led programming board. Auburn UPC works to provide a positive and engaging atmosphere within which students can build relationships and enjoy themselves. UPC consists of 8 committees that work hard to meet the programming interests of Auburn’s students. The committees are broken down into 5 planning committees (Films, Major Entertainment, Special Events, Tiger Nights, and Welcome Week) and 3 support committees (Development, Public Relations, and Technical Productions). These committees are responsible for organizing and executing events such as free movies, comedians, concerts, workshops, and speakers. Learn more at https://auburn.campuslabs.com/engage/organization/upc.